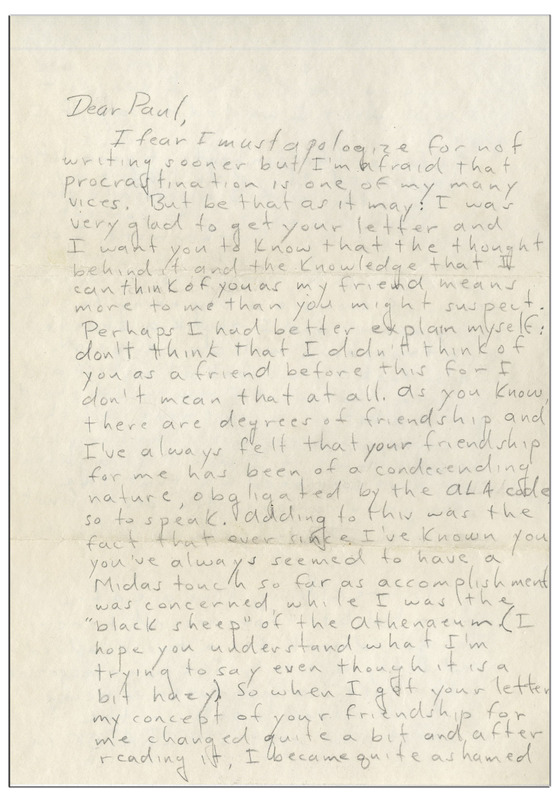 Remarkable autograph letter signed, with additional signed envelope, from 17 year old Hunter S. Thompson, showing early flashes of his prodigious talent for insightful writing. 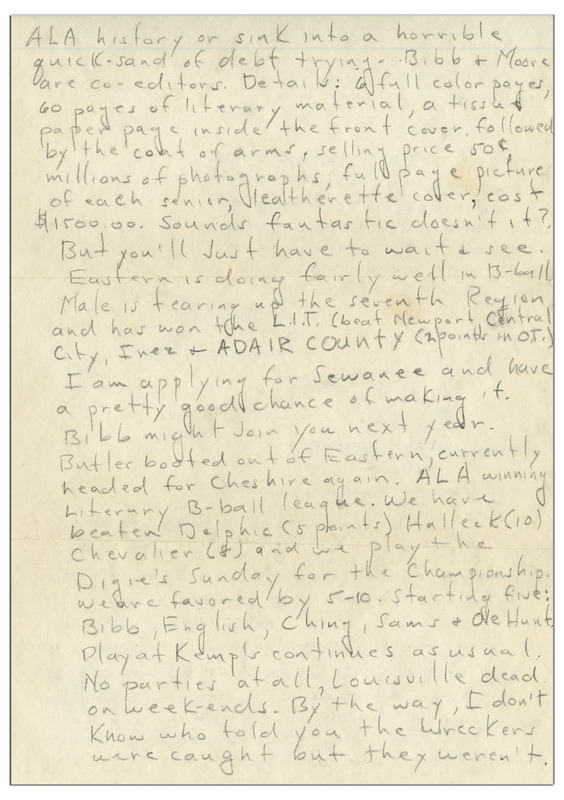 Signed ''Hunter S. Thompson'' in creative script, undated letter includes envelope postmarked 11 February 1955 from his hometown in Louisville, Kentucky which is also signed ''Hunter Thompson''. 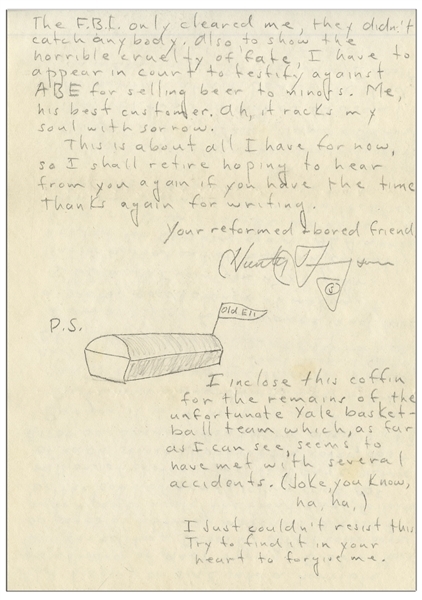 Thompson writes to his friend and fellow member of the Athenaeum Literary Society Paul Semonin, who was studying at Yale University at the time. Dense four-page letter reads in very small part, ''...the knowledge that I can think of you as my friend means more to me than you might suspect...As you know, there are degrees of friendship and I've always felt that your friendship for me has been of a condescending nature...you've always seemed to have a Midas touch so far as accomplishment was concerned, while I was the 'black sheep'...'' Thompson then writes about his desire to quit getting into trouble, convinced that the ''...straight and narrow is the best (if not the most enticing) path...'' He was in part referring to his involvement with a local group of vandals called ''The Wreckers'' which had evidently drawn the attention of the F.B.I., according to the letter. 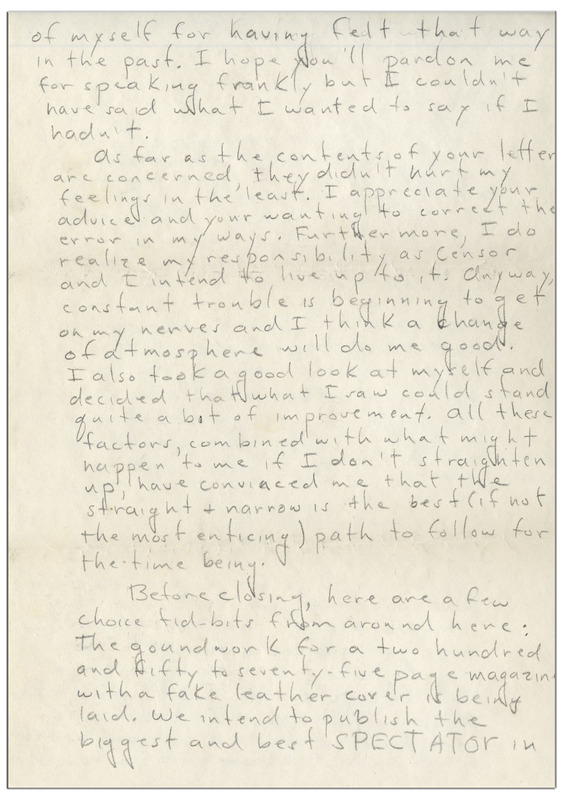 In fact, Thompson would spend his high school graduation night in the local jail, and writes here that he has to testify against the man who sold him liquor, noting that Thompson is his ''best customer''. 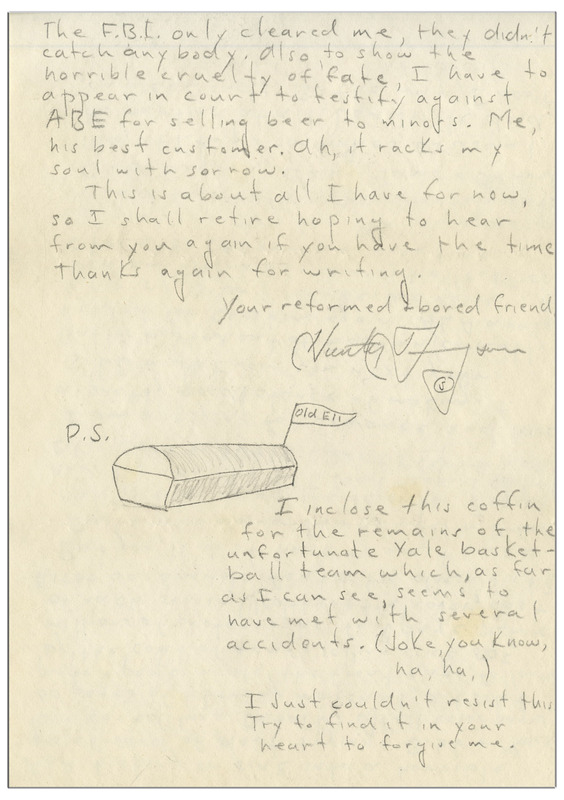 He finishes the letter with a drawing of a coffin to symbolize Yale basketball. 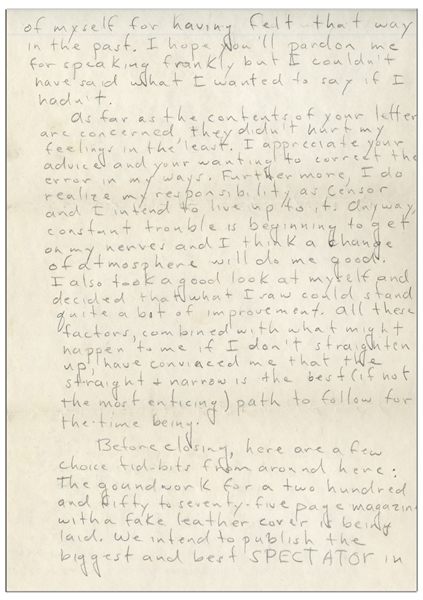 Four page letter on two sheets measures 7'' x 11'', written in pencil. 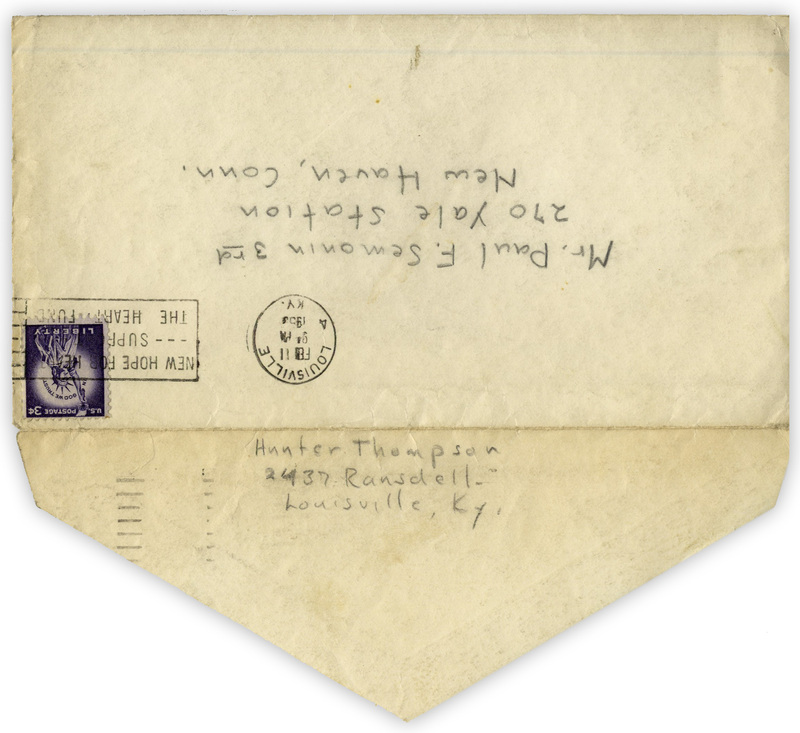 Folds, otherwise near fine condition, very well preserved. 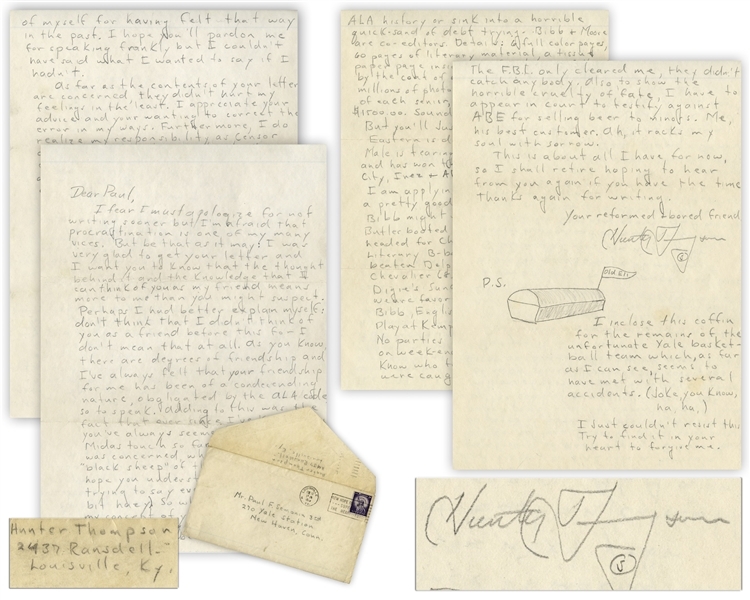 One of the earliest known letters by Thompson, with exceptional and reflective content.